A top-notch nightstand that will serve you well day after day, the Grand Nightstand from Modloft is proven to perform. It features two spacious drawers on fully extendable runners, making them easy to open and close at will. 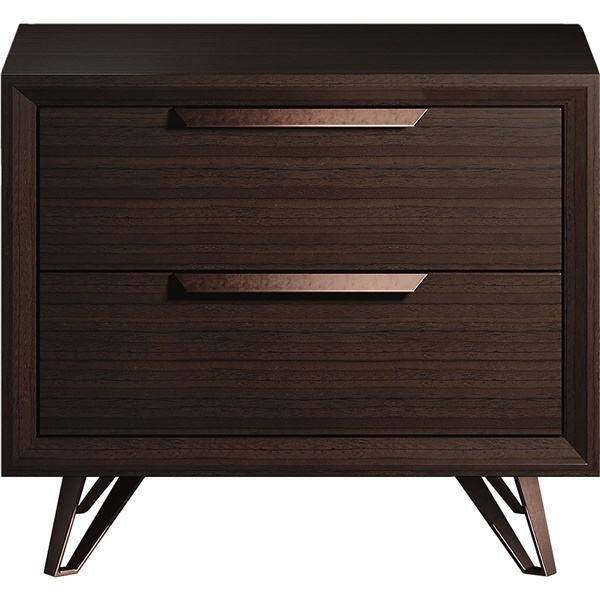 Plus, the nightstand boasts an espresso oiled veneer that gives the piece a dazzling appearance, along with anodized copper legs and drawer pulls that add a touch of elegance in any modern setting. Pick up a first-rate nightstand that is sure to become a mainstay in your bedroom with the Grand Nightstand. 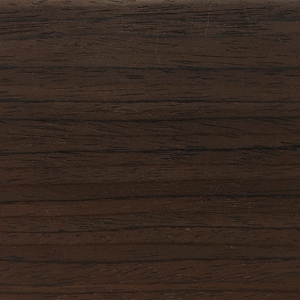 Offered in an espresso wood veneer with copper accents, giving the nightstand a dazzling appearance. Boasts two drawers on fully extendable runners, making it easy to store your personal belongings near your bed easily. The nightstand's drawers deliver European-style soft-closing actions, ensuring you can operate them silently and effortlessly at all times. Anodized copper legs and drawer pulls add a touch of glamour and elegance in any modern setting. Distinct urban style helps the nightstand make a bold statement day after day.